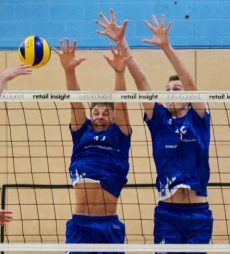 Richmond Volleyball is a Sport England Clubmark 2 award winning club that provides indoor and beach volleyball for players of all levels across boroughs in South West London and Surrey. 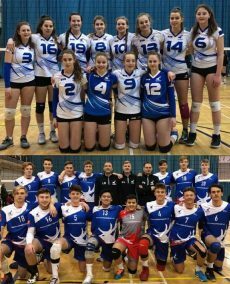 Richmond VB has several senior men’s and women’s teams competing in the National , regional, county and local leagues, and also delivers the South London Volleyball League, a fast-growing county level competition with mixed, men’s, women’s and junior divisions. Thriving RVB junior section has been very successful in developing young talents in school and satellite junior clubs in Richmond, Kingston, Hounslow, Elmbridge, Spelthorne. 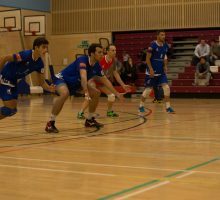 Every year RVB junior teams compete in the National Championships in all age categories. 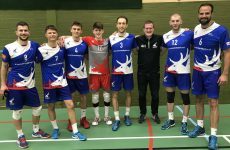 After three five-set defeats in row Richmond Docklands finally won a final set in a battling performance against Newcastle Staffs. 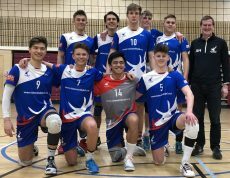 The squad of just seven players travelled to Keele University knowing that a win in under five sets would secure sixth place. So when Staffs stole the first two sets after Docklands had been in control, the visitors just had pride to play for.